The Sustainable Practice Recognising Outstanding Practice Awards are open to members of NSW ECEEN to show case the projects which demonstrate their commitment to learning for sustainability. “Patches of Green” Elliott. NSW EPA 2003* recommended “The grass roots passion and commitment that have initiated, promoted and supported environmental education are to be acknowledged”. Since 2005 these services have continued to inspire others to take the first steps and evolve into future SPROuts participants and winners. 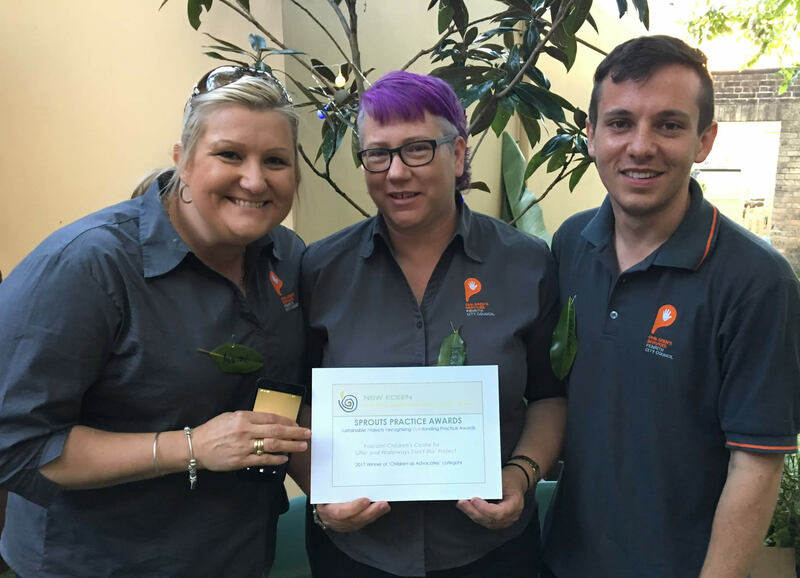 The Awards will continue to be a significant influence on the integration of sustainable practices into the operations and curriculum of Early Years services in NSW. The SPROuts Practice Awards continues to be supported by the NSW Office of Environment and Heritage. Please download Guidelines for further information and instructions on how to apply via the application form. Entries close each year 31st August and will be announced at the ECEEN awards each year. Last years entrants have been posted in the SPROuts section of the library for members to view. Begin your SPROuts project NOW. Open until 31st AUGUST each year. The new SPROuts Practise Award application form and Guidelines are now available. There are 3 categories, read guidelines for details and assistance in completing the application.